Seeing all these great recipes before I even have breakfast makes me just want to go and cook all of it. There are so many that look amazing. Of course I think mine is delicious, seriously, my family has me making this all the time now. 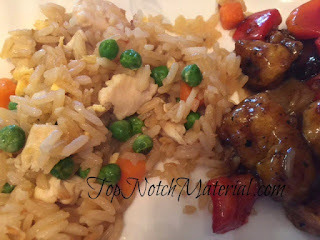 Orange Chicken and Fried Rice takes a few steps but it is so worth it in the end. Let me know if you make it. In the man time, go and check out the other ones as well. The Last Cheesecake Recipe You'll Need! What recipe will you try first? I am always looking for new recipes! Thanks! 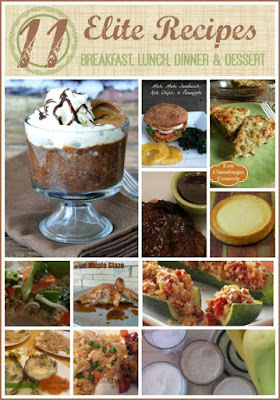 These are some great recipes that I am sure to try. Thank you for sharing! Thanks for all these great recipes! In just a few months, it will be zucchini season, and I'll be looking for ways to use up the giant monsters. The stuffed zucchini recipe looks delicious. I bet the Italian sausage complements the flavour of the zucchini quite well. I can't wait to try it. "The Last Cheesecake Recipe You'll Need" - anything with a title like that is worth checking out. Thanks again for sharing! I love finding new recipes! Thanks for sharing! Any recipe with Cadbury in it I will be trying! I've been stuck in a food rut lately, so this will be very helpful! Thank you! This is a nice collection of recipes. I have been so bored with cooking the same old thing lately, so I am going to try some of these! I would love to try the Italian Sausage Stuffed Zucchini! I love this collection, delicious!